last week was a pretty good time. 2. Finally fixed these glasses. 3. 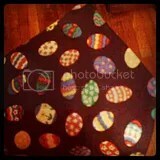 Easter tie: Thrift Store find! 5. A bloody B.J. Whitmer. There have been plenty of Randy Macho Man Savage tributes since he passed. 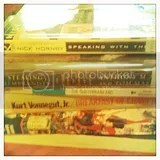 Most of them will be better than this one, but they at least came sooner (That’s what she said!) This isn’t even really a tribute just some memories that popped up when he died. Yeah they were awesome! They bent (if by bent you mean immediately went back to original position) and looked as close to them as my young mind thought possible. 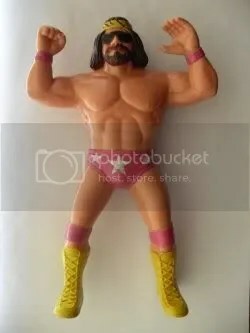 I did get pissed when I wanted to do The Macho Man’s patented flying elbow but his elbow would stay in the same position. It frustrated me to no end! So I decided to improvise (so creative) and use my G.I. Joes as the wrestlers. Hey Sgt. 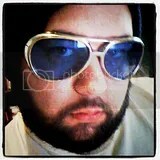 Slaughter was in both.I used this one as Randy Savage because he wore a hat and sunglasses! That is Wild Bill in G.I. 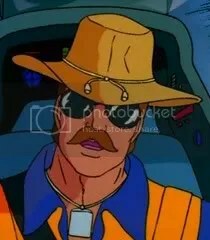 Joe lore but he served me well as Macho Man. I used the WWF ring but matches took place anywhere. AnyScaryInsightIntoYoungJimi if there were matches of course there had to be champions right? Yep and I used the twist ties to bread bags as the belts. I saw to it that The Macho Man held onto the title for a long long time. Also the time I came closest to getting in a fight I channeled my inner Randy Savage. It was on a dumb fake boat in the playground at the church school I attended. May have thrown in a “dig it” but I can’t confirm that. **Same as above you sickos. That was you replying by the way. 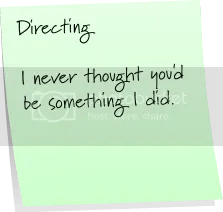 It was very kind of you, or very kind of me to do for you. Below I will be reviewing a television program. In a bit of a departure it will be an actual serious one. I know. I know get the shock out of your system now. I’ll wait. Ready? I’ve written a review of the premiere episode of Hybrid Wrestling TV. It’s no secret that I enjoy wrestling much to the shock of some people. Some of you don’t and I hate you for that that’s okay too. If you don’t think reading the review will be your cup of tea then I won’t be mad at you for skipping it. If not perhaps you’ll go check out the fun stuff at The B Movie Brigade or read the tweets @OverheardOhio. Enjoy and come back. Hybrid Wrestling is a wrestling promotion based in Ohio and founded back in 2006. They’ve been doing great work on the Indy circuit since then and now finally have a television deal. The show opened and got right down to business, which is a necessity when you only have 30 minutes to ply your trade. That is the first draw back to the new show deal. It will be hard for some of the new fans (that a TV show) will bring in. It may be hard for a newcomer to get into the promotion with not much time to learn about it or grow into the feuds. Nonstop and wonderfully done wrestling more than made up for that. A 30 minute show has drawbacks but maybe some good points—more on that later. We meet our host Jay Michael Williams as he opens the show and plugs the main event. Exciting news we are getting a TLC match between former Hybrid champion Dave Cole and current champion Marion Fontaine. It makes sense right? Give the possible new viewers a chance to meet a former champ and the current champ. The promise of a high impact match right off the bat doesn’t hurt either. Before that happens we get an angry promo cut by The Irish Airborne (Dave and Jake Crist) on The H3rd. Here we meet some of the players and get the background. We find out the dastardly actions of The H3rd (said H–three-R-D) that have taken place sometime before the taping. Right into the wrestling we went. First matchup we get is some tag team action. This is a smart move on the part of Hybrid because tag action is sorely missing from the big E in Connecticut. Now I’m not here to bash the big places and pump up the Indy scene. I’ve watched wrestling for most of my life and I enjoy it all. The match of course consisted of The H3RD of Tommy Treznik and J. Miller vs. The Irish Airborne of Dave and Jake Crist. The match is quick and highlights the talents you’ll consistently get at a Hybrid show. The Irish Airborne are as entertaining a tag team as you’ll find anywhere. They were given time to show themselves and fluidly moved from move to move. The best part of the opening match was both teams were focused on pretty evenly during it. Dave and Jake could dominate most teams but H3RD were allowed to show what they bring to the table and the match was really solid. The teams were given ample time to put on a show and the announcers were able to fill in the viewers on just what The H3RD had done. It is clearly a major storyline in the organization. Tommy Treznik (who is a great performer to watch) took over the match with his wonderfully played heel tactics throughout and after. From there we headed backstage to follow Billy Taylor as he hunted The H3RD who was clearly shown to be the preeminent heel stable of the organization. Now you know who to boo. I of course will continue to cheer for them. That is neither here nor there. The backstage segment of Billy allowed us to meet some of the other talent of the roster (namely Pinkie Sanchez) but he of course eventually ended up in the ring. This is where (other than the announcers telling us) one will come to realize that The H3RD storyline is the major one. One of their more notorious actions was to attack an injured Christian Faith and it’s pissed off seemingly everyone in the company. There will be no main event. Billy Taylor a hulking bruiser of a dude won’t leave until The H3RD comes out to face him. Here we meet Façade a staple of the Ohio wrestling scene. There are a few moments of the high flyer (Façade) against the big and tough Taylor before the rest of The H3RD comes out and attacks him. We get the treat of Tommy Treznik on the mic. He handles it well and I imagine with time it will only get better. And then the first big punch comes. Christian Faith’s music hits and he enters the arena. After Faith clears the ring of all except poor Tommy the second punch comes. A big reveal comes as it turns out to be none other than Tommy Dreamer under the mask of Christian Faith. You could tell the crowd was into the whole night but especially there. We got plenty of action (even if technically only one match was seen) and met (some of) the cast of characters. We got the major storyline and they gave the newbies (to the promotion) action and a big name (Dreamer) to bring them back for at least another week. The choice of the match they gave us was pretty smart. Irish Airborne can hold their own with anyone and they brought a large array of hard to forget moves. The H3RD are deeply intertwined with the entire promotion and its major storyline. If you had come into unaware of the promotion you probably don’t know enough about it and that probably was more with the length of the program. The plus with that is you are forced to give quality action and it does have the perfect Indy scene feel to it. I had a tiny beef with the announcers who stepped on Tommy’s (and even Billy’s) mic work too easily. Thirty minutes means a delicate balance of storytelling and action giving. Hopefully Hybrid can continue to balance it out. They did a fine job with the first episode. You can find Hybrid Wrestling here and the first episode is here. Another weekend comes to an end and it’s time to get back to the grind of the work week. Haha. Sorry I had to do it. 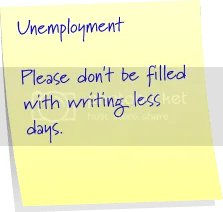 I hope your work week in general isn’t too bad. My grind continues to consist of making sure that I’ve applied to at least 2 places. This is usually what Monday is. I make sure to find at least 2 jobs to apply for. I continue looking during the week but Monday is the at least 2 for that week day. I’m sure you all are very happy to have learned that information. Anyunemployment the weekend was a fun one. It started on Friday (as they often do) with a trip to the Grog Shop. We were going to support a friend’s brother’s band. The band is Mos scocious who apparently was voted best local band in Chicago. I only had to hear this fact about 600 times from various sources. Whatev. They were good. A little too feel goody for my usual taste but they were fun. They were good to listen to and pretty catchy. They also had a decent stage presence which is something that some of the bands sorely lack. I was very happy to go because it had been way too long since I’d been to the Grog. The wife and been recently but not me. I miss it and this summer is a long way from the summer of the Grog we had with the rizza a few years back. So it’s been a while. There was a new girl and the jack and ginger she made me was well it was very weak. As we chatted and drank Marty came over to see if we needed anything. The wifey told him no but I said “order me another I’m going to chug this.” He laughed and started to make one. I told him it was because she made it rather weak, he laughed again and made it nice and strong. Which of course meant the new drink was way STRONG. Yeah! Actually the bartenders at the Grog are some of the best in town. I meant to tell him I dug his stuff and see if he had a twitter or Facebook but after he disappeared into the backroom I never saw him again. Before the show we went over to the doghouse for some hot dogs, because the wifey napped/read until it was time to hit the show. It was tasty as always. It was good to sit outside on Coventry and eat. People watching at its finest—though unfortunately didn’t get any good Overheard Conversation bits. Did I just start in the middle of the night and then travel backwards? What is this Memento? Saturday was a day of two halves. 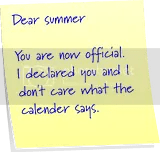 I woke up at about 10am to find no paper. Now this is most likely due to the bank taking forever to give the plain dealer their money. After some coffee the wife and I sat down to address her dying computer. We were on the phone for like 3 crazy hours with Dell but all in all it finally got taken care of. It really doesn’t deserve that much of a space as the fun things. Later that day we headed over to the Cleveland Cinematheque for the next installment of The Marx Brothers. This week it was Horse Feathers. This fine film came out in 1932. Funny as the Marx Brothers always are. The wife enjoyed it—and I’m hoping this new found enjoyment changes her opinion of Duck Soup. Lindsay, the wife and I then went to Cafe Tandoor for some dinner. It was delish. The wife and I shared the Butter Chicken, Baingan Bartha and some garlic naan. The time was filled with laughter and that is always good. The wifey I spent the rest of the night in watching some tv and doing some reading. I was in sort of a somber mood but nothing major. We ended up staying up till like 4 in the morning. Sunday the big day was here. My lovely Kat and I were headed to the Nautica Pavilion for PWO Wrestlelution 3 event. Yeah we went to watch some wrestling. Can you guess who the one who wanted to was? I gave her the option of just dropping me off but she declined. So onward we went. The event started at 3pm and doors opened at 2. We arrived at exactly 2 because being poor I only bought general admission tickets. It was sit where you can and we scoped out some decent seats. You could see well from pretty much anywhere. We sat and chatted and what not. When Raven walked past us and took a seat at the merch table. There was simply no way I could pass up seeing my all time fav (and greatest heel of all time) Raven and so we headed over. As we waited in line Hacksaw Jim Duggan approached to much fanfare. Now as wrestlers go he’s not my fav or all that amazing of one either, but I grew up watching him. As people said “hey” shook his hand or said “hoooo” (he’s known for belting out hooooo) I tried to stay my ground. I told my wife I was trying to keep my cool and not mark out or get all excited just because of childhood nostalgia. The wife egged me on because she was concerned I’d regret it. Regret will be a topic of a post soon, but not today because I was doing things not regretting them for a change. I calmly shook his hand and said Hi. That was all that was needed. I was in line for the one I needed to meet and chat with: RAVEN! And then me trying to keep my cool later on. We went from here to a nice dinner at Mi Pueblo and then a quiet night at home. It’s been quite a while since I’ve done a set of these. I almost forgot how. Okay not really I just wanted to add some drama. Click here if you want to make your own and/or click the linky under here to go to Supah’s site. Yeah this one is pretty self explanatory. 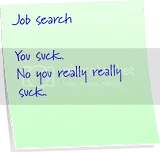 I still haven’t found a new job. I’ve had a couple of interviews and one of them even went pretty sweetly. In the end nothing has come of it. The looking, the scouring and applying has been very draining. Another thing that has been annoying me as of late is the WWE. The shows have gone rather down as of late. Most of this is due to the attempt to cater to a more family audience, but that isn’t a real excuse. The writing has gotten pretty crappy—PG doesn’t mean you have to have bad writing. The PPV have been especially weak. 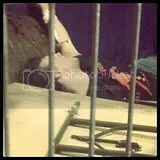 I mean stopping to cover up the blood? Really? Good thing I’m not paying for them huh? On to one of the good things I’ve got to talk about. Star Wars. 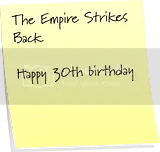 Happy 30th anniversary to the Empire Strikes Back! Nothing beats relaxing on a sleepy Saturday evening with the wife to an awesome Star Wars marathon. It’s even hotter when the wife suggests watching it. 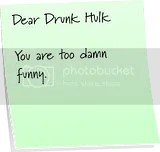 DRUNK HULK BEGIN THINK PAPERBACK EDITION OF KINDLE NO EVER COME OUT! LINDSAY LOHAN CAREER LIKE DAVID LYNCH MOVIE! INTERESTING! SCARY! SOMETIME PRETTY LOOK AT! BUT MAKE NO SENSE WHAT SO EVER! $30K FOR BRISTOL PALIN SPEECH! HERE CLUE! PAY $5K MORE AND GET NEIL GAIMAN! SOMEONE WHO ACTUAL EARN IT! OR GET DRUNK HULK! Yeah we went to the Vine and Bean for brunch. 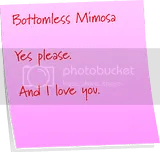 They have bottomless mimosas for 10 bucks. We of course ordered them and proceeded to drink a billion of em. Post it Note Tuesday: Let’s get dangerous. Okay so I’m going to go all Darkwing Duck on you here and say: Let’s get complainy. I know Darkwing Duck’s catch phrase was “Let’s get dangerous” and not let’s get complainy. I also know that complainy really isn’t a word. Oh man I just realized most of you probably won’t get the Darkwing Duck reference. Oh well. 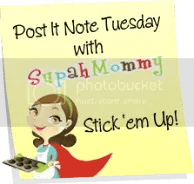 Either way here is your Post it Notes for this Tuesday Enjoy these (probably not: I wouldn’t blame ya) and if you want to read some more just clicky click the pic below. If you want to make your own go here. Yeah this one sort of speaks for itself. 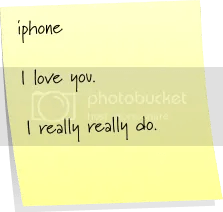 I lurve my new iphone. So there is this train whistle like noise that goes off somewhere near our apartment like every 5 minutes. Have no idea what the hell it is. I may have to take a walk to explore. 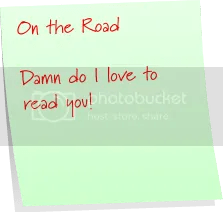 I’ve been reading ‘On the Road’ again by Jack Kerouac. This of course leads me to want to ride the rails and hitch the country. 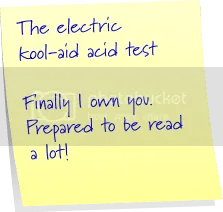 Speaking of reading I finally found a copy of The Electric Kool-Aid Acid Test. I’ve read it before but really needed to own it and thanks to Half Price Books I now do. 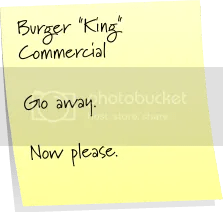 I complain about commercials a lot in these but for some reason those “Crazy King” commercials from Burger King really piss me off. I don’t know why it just does. Now I’m all for nostalgia. I mean its part of the reason I still watch wrestling is the fact that I watched it with my mom when I was younger. 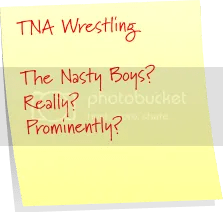 The Nasty Boys were great then but these days they sort of flop around like manatees who had bad knees surgically attached but don’t know how to use them. Day 1 of unemployment was really uneventful. This is especially true in terms of writing. I didn’t work on anything. Hell I didn’t even write a blog post. That will simply have to change. A wall fell down but did you feel it? The German Embassy is coordinating a public diplomacy campaign with the motto “Freedom Without Walls.” The campaign is focused on promoting awareness of the fall of the Berlin Wall among current college students, and students at over 20 universities will participate in “Freedom Without Walls” events in late 2009. Enjoy your day and week. *And for some reason I typed ruse (instead of sure) like three times. Dyslexic much? **What we don’t all get our history from Family Guy?